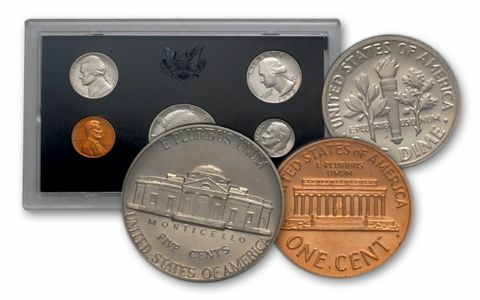 The mintage for the 1972-S Proof Set is nearly identical (slightly higher) to that of the 1971-S Proof Set, and as expected, the two sets are nearly identical in price today. 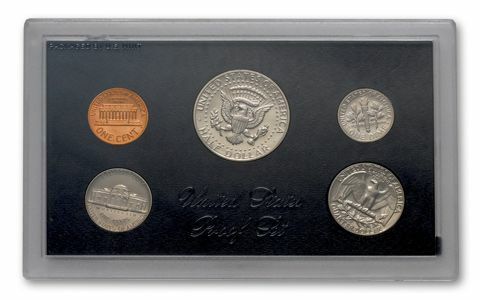 Each set contained five coins: One example each of the Lincoln Cent, Jefferson Nickel, Roosevelt Dime, Washington Quarter, and Kennedy Half Dollar. 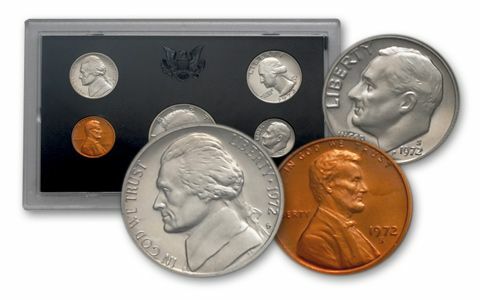 About the sets: 1972-S Proof Coins are found with Brilliant, Cameo, and Deep Cameo surfaces. All three finishes are readily available. Some sets may contain the very rare Doubled Die Obverse Cent, with doubling of the lettering visible at "IN GOD WE TRUST" and "LIBERTY". 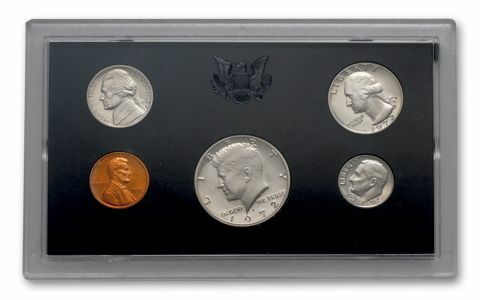 Original packaging: The individual coins of the 1972-S Proof Set were placed into holes in a black plastic insert, then sealed in a two-piece, clear plastic case. 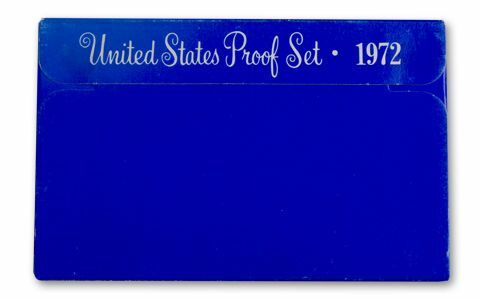 The case was then inserted into a protective outer cover consisting of blue cardboard, imprinted with the words: "United States Proof Set • 1972."